As an event marketer, I am a harsh critic at conferences and trade shows, noticing details that the average attendee might overlook. 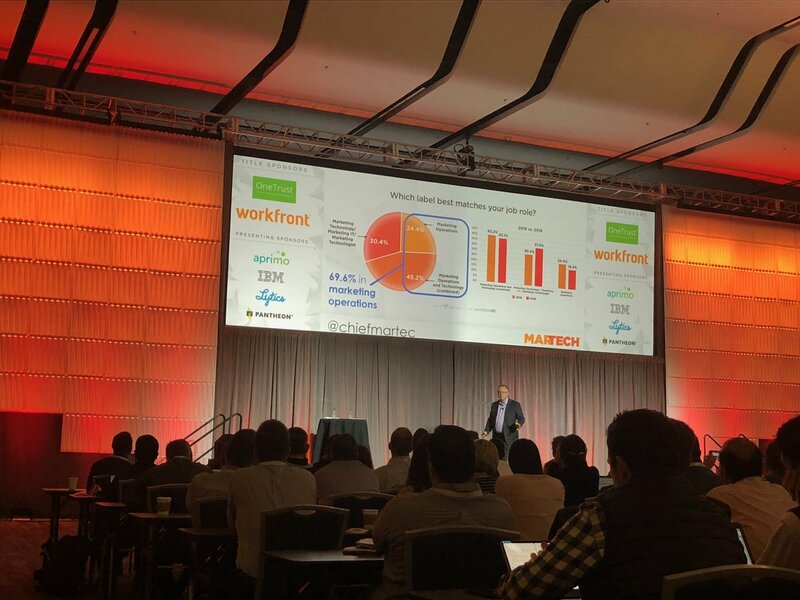 Unfortunately for the team at Chief MarTech, I attended their MarTech West conference in San Jose last week, prepared with my white gloves and black lights to spot any event marketing mistakes they might have made. While I learned about industry news such as McDonalds becoming a marketing technology company (seriously), the fear of being CCPA compliant (if you don't know, you've already screwed it up), and the shifting importance in the digital landscape for SaaS companies to be both a software and a service (but we already knew that). I also paid close attention to how the event was run behind-the-scenes. Upon registering in January, MarTech sent me a registration confirmation email, reconfirmed my registration in early March, then amped up to weekly emails, then bi-weekly two weeks out. This was a *chef's kiss* perfect cadence because my inbox was never flooded with repetitive information. Then, as the conference date loomed closer and grew more top of mind for me, so did their email content, answering common questions about wifi, location, and time management before I even had the chance to search myself. With venue employees, brand ambassadors, and wranglers stationed every 15 feet, your attendees never have to feel lost of abandoned. More than anything, make sure your working staff is trained on the venue layout and able to effectively communicate directions, because they are going to spend the day directing people to the closest bathroom, phone charging station, breakout room, and Uber line. Spotty wifi, crowded lunch lines, or audio issues are best addressed by being honest and upfront. Make an announcement or send an attendee-wide email (MarTech even had an app attendees could download to manage personal agendas and communicate with each other) before the passive aggressive tweets start going live. Your attendees understand that issues arise, but what they don't like is when you try to cover them up. 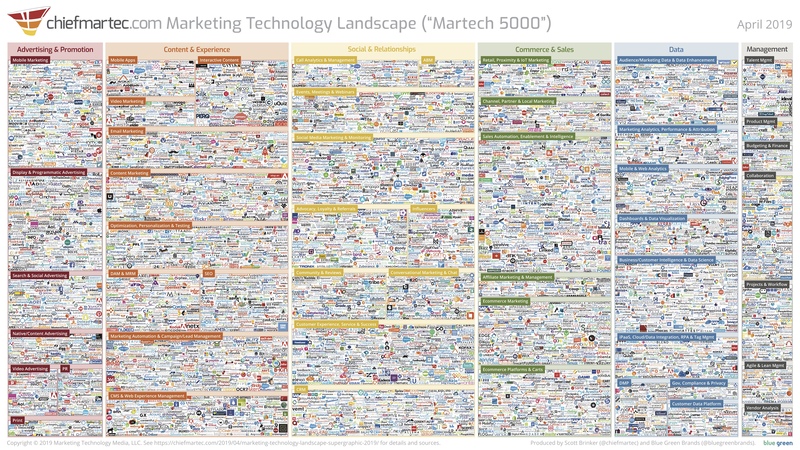 The entire MarTech conference was based around the unveiling of the 2019 Marketing Technology Landscape. 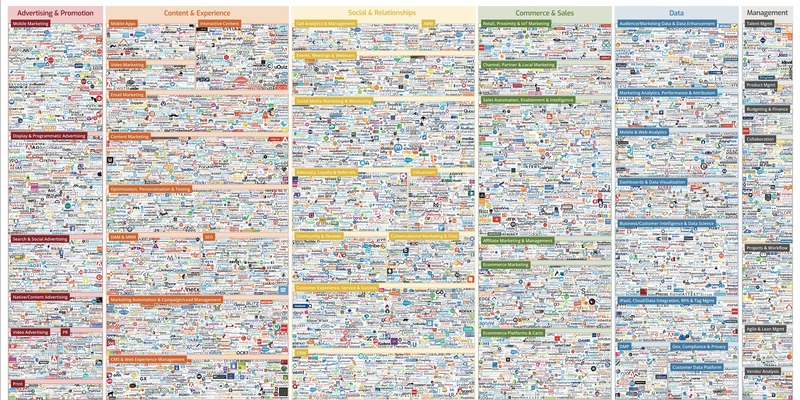 Instead of making attendees wait until it was available online and struggle to view 7,000+ logos listed, all attendees were provided with a complimentary poster of the landscape to take back to the office. 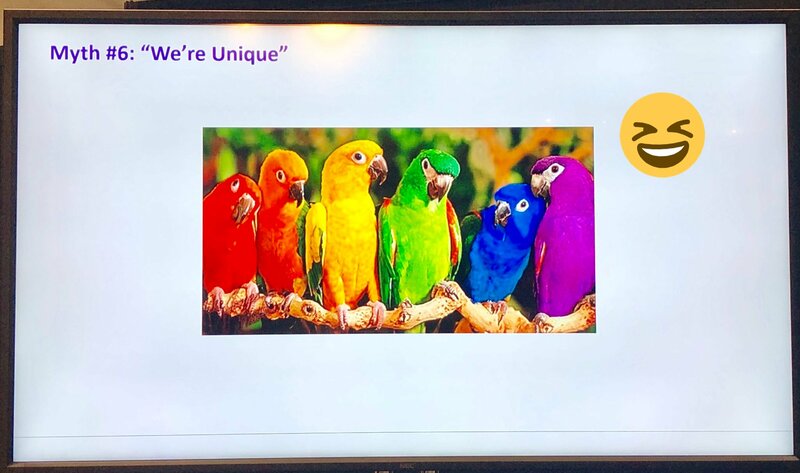 Even better, Percolate's Noah Brier didn’t want everyone sitting in his session, "The Five Tensions of Marketing Orchestration," to have to take grainy smartphone photos of his presentation slides. To prevent this, at the end of the session, Brier gave out free copies of his book the presentation was based on. And I mean *the moment* it's over. 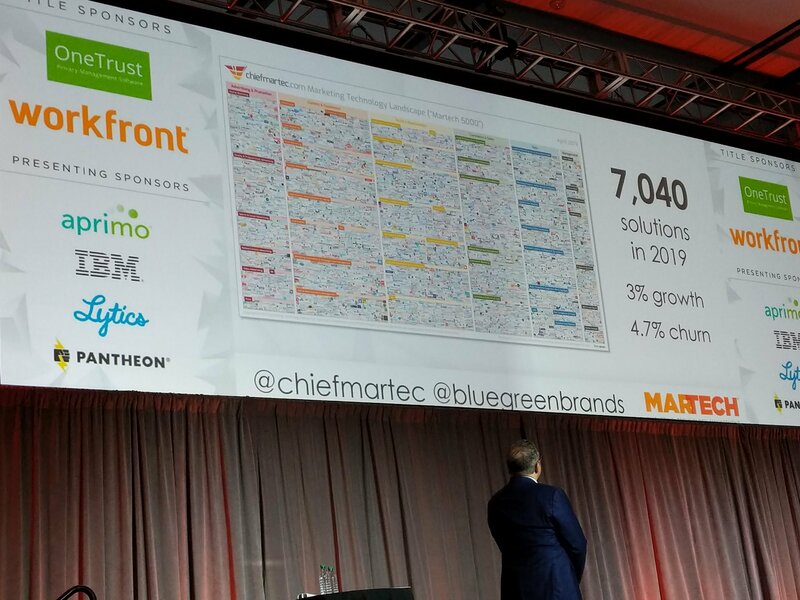 MarTech's closing session, "Look! Squirrel! Beyond the Shiny New Thing to Sustained Organizational Change" with Tom Fishburne finished at 3:30pm on Friday and I received my "Thank you for joining us" email and experience survey at 3:34pm. By preparing this messaging before the event, the producers could get it out the door while the experience was still top of mind for attendees.